Whispers in the Loggia: "To Propose the Family With Credibility... And Creativity" – On Synod Eve, The Pope Calls for "Pentecost"
"To Propose the Family With Credibility... And Creativity" – On Synod Eve, The Pope Calls for "Pentecost"
Much as you've seen the theatrics and heard the volleys of views these last months, only with a morning Mass in the Basilica does the curtain go up on the Vatican's marquee event of 2014 – the Extraordinary Synod of Bishops on "the Pastoral Challenges of the Family in the Context of Evangelization." 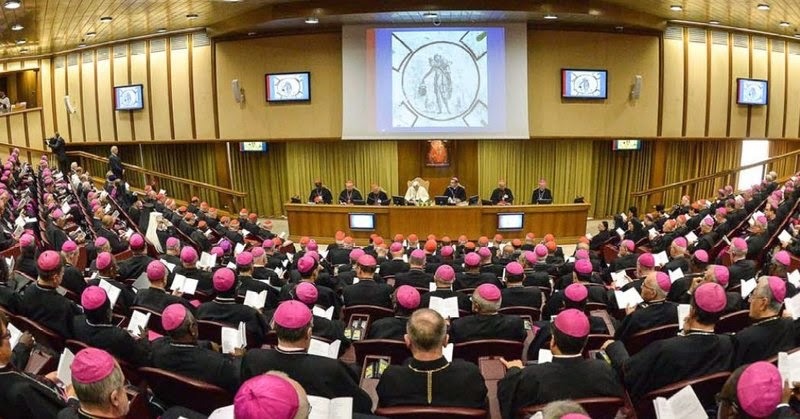 Lest anyone got confused amid the spectacles in the gathering's run-up, most of what's transpired until now doesn't mean terribly much – dueling Europeans and North Americans do not a Synod make... nor, for that matter, a universal church, either. 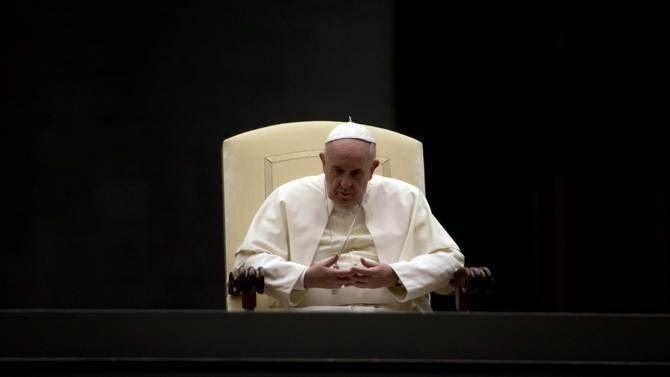 And with a Pope who's committed himself to pushing the church onto a renewed "path of synodality," the ecclesial "peripheries" yet again ignored in the run-up to the Main Event won't just have full voice in the Aula, but could well see preferential treatment from the Chair. After all – as no less than a PopeTweet reminded the other day –"A Synod means walking together," and only a church in full can do that. Explicitly limited to pinpointing the "status questionis" – that is, the global state of family life today – the assembly's discussions and discernment begin Monday morning with Cardinal Peter Erdö's opening report, summing up the consultations received by the Holy See. In a move without precedent to highlight the gathering's import, the full first session will be televised. In the meantime, echoing the assembly-launch vigils of 1962 and 2012, tonight saw an outdoor gathering in the Square capping the Pope's earnest, yearlong campaign for prayers for the gathering's success. The communion of life assumed by spouses, their openness to the gift of life, the mutual protection, the encounter and the memory of generations, educational support, the transmission of the Christian faith to their children . . . With all this, the family continues to be a school without parallel of humanity, an indispensable contribution to a just and united society. (cf Esort. ap. Evangelii gaudium, 66-68). These are the words which contain the spiritual testament of Mary, “the friend who is ever-concerned that wine not be lacking in our lives” (EG 286). Let us make these words ours!